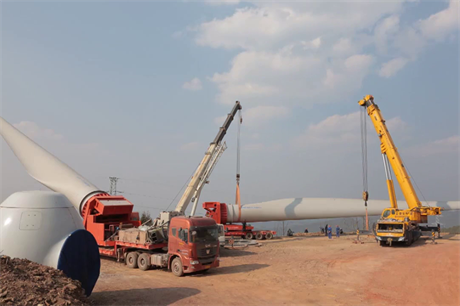 CHINA: Installation of new wind capacity in China totalled 10GW in the first nine months of 2016, according to China's National Energy Administration (NEA) as the government set out plans to install around 16GW a year until 2020. The figures from the NEA correspond to a drop off that had been expected in the world's largest wind market. According to Windpower Intelligence (WPI), the research and data division of Windpower Monthly, in the first nine months of 2015, China added just shy of 16GW. The country would go on to install 20GW in the entire year. WPI figures for 2016 suggest China has added 11GW in the first nine months. The discrepancy is due to WPI counting grid connected capacity, therefore, the higher total compared to the NEA could be as a result of capacity installed in 2015 but connected in 2016 as China continues to battle grid issues. What can be concluded from both sets of figures, however, is the slowdown in China has arrived. The national government recently set out its next five-year plan (2016-2020) for energy. For wind, the government has set a target of 79GW over the next five years, an average of 16GW a year. Total wind capacity is expected to reach 210GW in 2020, from an approximate 142GW today. Of the total, 5GW is expected to be offshore, the same amount targeted in the previous five-year plan (2011-2015). That target was missed, and currently China has just short of 1GW installed offshore. The fall in China's installation total had been expected in 2016, with many analysts predicting a contraction in the market.